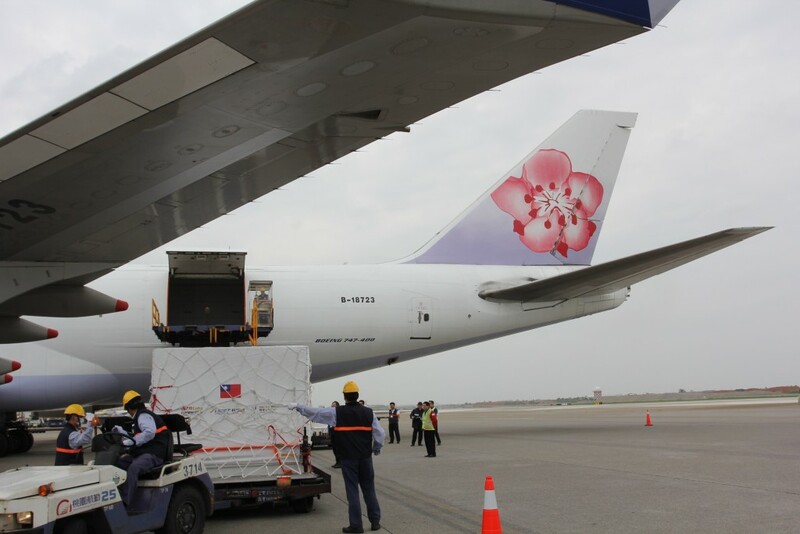 TAIPEI (Taiwan News) -- FormoSat-7, the second satellite constellation jointly built by Taiwan and the U.S., was placed onto a cargo plane in Taoyuan bound for Florida on Sunday (April 15) in preparation for its launch on June 22, reported CNA. On Sunday, the FormoSat-7 platform was transported from the Hsinchu Space Center to TACT Logistics (華儲公司) next to the Taiwan Taoyuan International Airport. 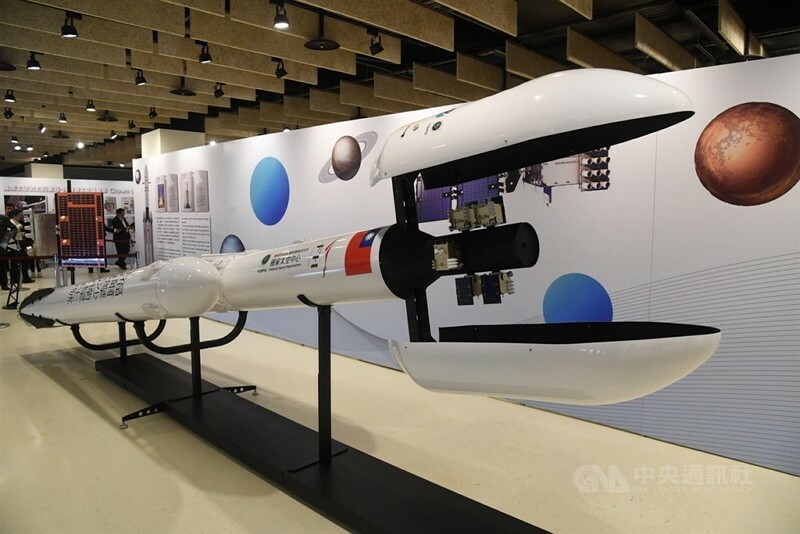 Today at 1 p.m., it will be flown by a China Airlines cargo plane and will arrive at its launch site at Cape Canaveral, Florida on Tuesday (April 16). The satellite is slated to be launched into orbit on June 22. To ensure the safe delivery of FormoSat-7, its six satellites have been packed in three thermostat-controlled delivery crates. 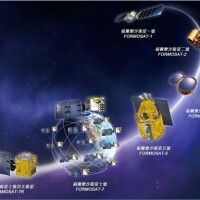 FormoSat-7 will be the first satellite to enjoy diplomatic parcel courtesy. 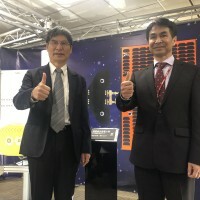 This will enable it to pass through customs quickly when it enters the U.S.
At a press conference on Sunday, National Space Organization (NSPO) Director-General Lin Chun-liang (林俊良) said that because FormoSat-7 is a Taiwan-U.S. project, the U.S. attaches great importance to it and hopes to provide a more convenient, faster and safer transit for the satellite. 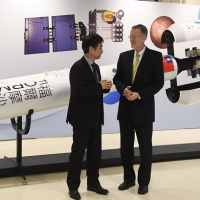 The effort to build the FormoSat-7​ constellation, which will replace FormoSat-3, was the largest ever joint project between Taiwan and the U.S. Minister of Science and Technology Chen Liang-gee (陳良基) said Formosat-7 is to be launched using SpaceX’s Falcon Heavy rocket. Formosat-7 was designed to take over the functions of Formosat-3, and will circle the Earth at a height of 550 kilometers and round the planet once every 97 minutes. After the Formosat-7 is launched, it will collect a number of different measures of data including atmospheric temperature, humidity, and pressure. 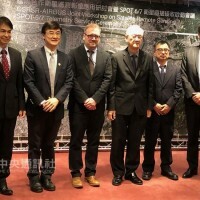 Experts believe it will increase the accuracy of Taiwan’s weather forecasts by at least 10 percent, and the amount of data collected for regional weather forecasts and ionic observations by three to four times. Video from NSPO showing showing satellite being loaded up for shipment to U.S.